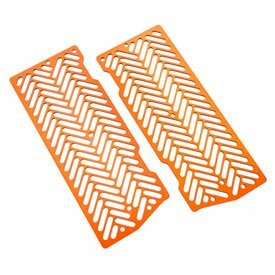 NextDealAddict applies the smartest e-commerce technology to make the consumer shopping experience easy, efficient and fun: find the ideal price for Ktm Radiator Guards at the most trusted online store. Fits: KTM 125, 150 SX, 250, 350, 450 XCF, SXF 2016, KTM 125, 150, 250, 300, 350, 450, 500 EXC, SX, XC, SX-F, XC-F 2017-2018, Husqvarna TC125, FC250, FC350, FC450, FS450 2016, Husqvarna FC, FE, TC, TE, TX 2017-2018. 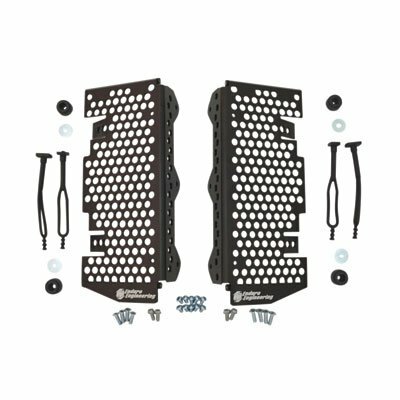 Trail Tech Radiator Guards are designed and engineered to thrive in the most rugged environments. Integrated spigot protector guards lower radiator spigot from being damaged from sticks, rocks and crash damage. Quick release protector cam allows break-away if the guard is caught by objects on the trail, avoiding expensive damage and repair. Designed to work with Trail Tech Fan Kits. 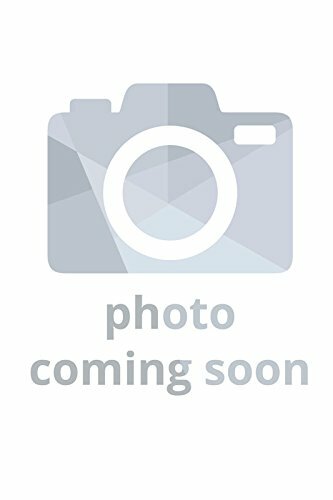 Fits: 2016 KTM 250, 350, 450, 500 XCF-W, EXC-F, 2016 KTM 250SX, 250, 300 XC|XC-W, 2008-2015 KTM 125-530 All Models, 2007-2015 KTM 125-530 All SX|SX-F Models 2009-2015 Husaberg 125-570 All Models, 2014-2016 Husqvarna 125-501 FE|TE, 2014-2015 Husqvarna 125-501 FC|TC. 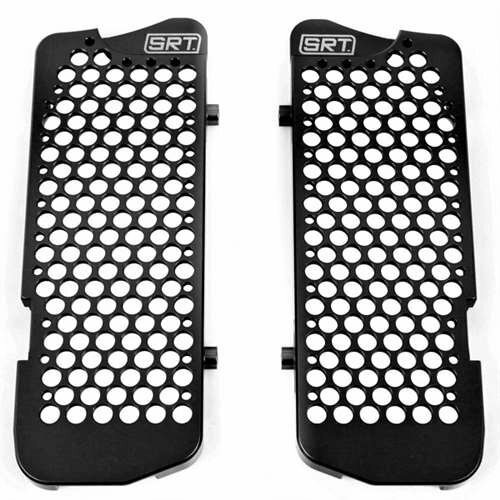 Trail Tech Radiator Guards are designed and engineered to thrive in the most rugged environments. 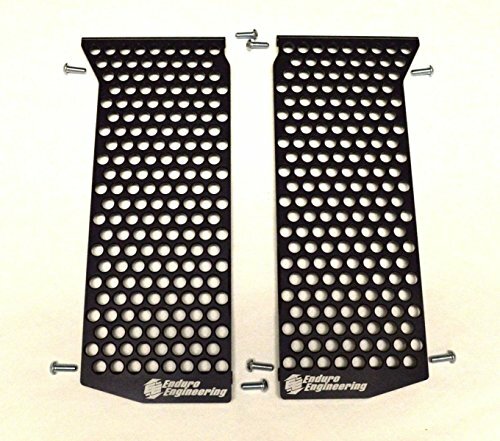 Integrated spigot protector guards lower radiator spigot from being damaged from sticks, rocks and crash damage. Quick release protector cam allows break-away if the guard is caught by objects on the trail, avoiding expensive damage and repair. Designed to work with Trail Tech Fan Kits. 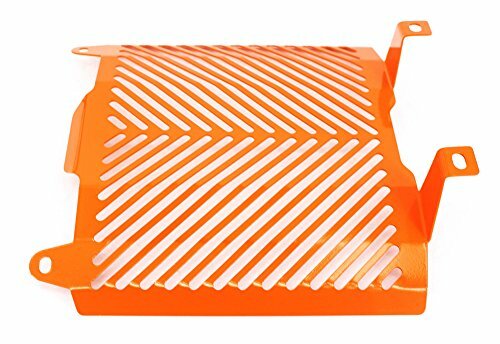 MPN: EE-12-114Fits:Requires Part # 11-114 or 11-401KTM 2008-2015 125-530 All ModelsKTM 2016 200-500 SX/XC/XCW/XCFW/EXCHusaberg 2009-2014 all modelsHusqvarna 2014-2015 125-501 All ModelsHusqvarna 2016 125-501 TE/FE 250/300 TCAll mounting hardware included.Protects radiators from frontal impacts or flying debris: don't let stick or rock punctures ruin any more radiators!The lightweight, drilled design allows your radiator to stay guarded while not sacrificing air flow at all.Black anodized for a factory look and easy clean up.We are passionate about power sports, we ride and we hope you do too. We have picked select items from the best companies available to use on our own bikes and are pleased to offer them to you. We stand behind the brands we sell and we actually use them ourselves. If you have any questions please contact us. We would love to hear from you. 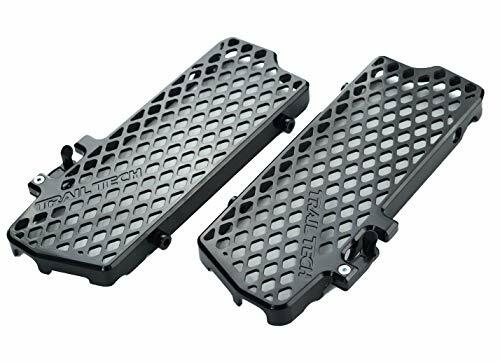 Evotech Performance Radiator Guard to fit KTM 1290 Superduke/R. Years 2013 to 2019. 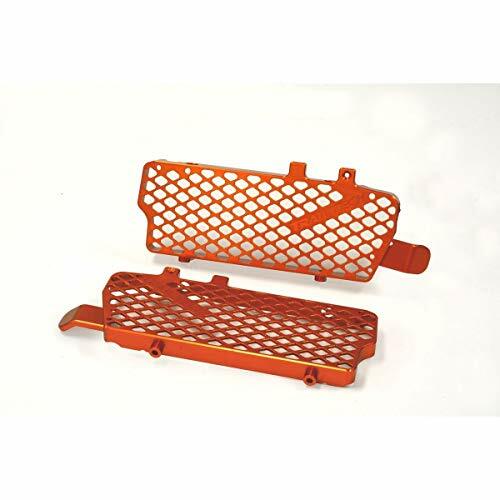 Evotech Performance Radiator Guards fit like original factory equipment should using the existing mountings and requires no modification to your KTM 1290 Superduke / R. Years 2013 to 2019. Elegant in concept, the matrix is pierced with hexagonal holes to optimist airflow whilst providing maximum protection from road debris. They have a remarkable strength to weight ratio and weighs only 255 grams (9oz). 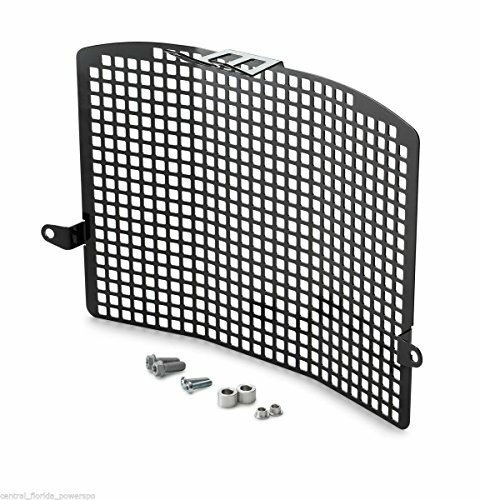 Evotech's savvy design means our radiator guard can be fitted in 20 minutes with no modification to the bike required. The guard is CNC machined from aircraft quality aluminum and is finished in durable black powder coating and the kit includes any required fixings and easy to follow online instructions. Fits years 2013 to 2018. 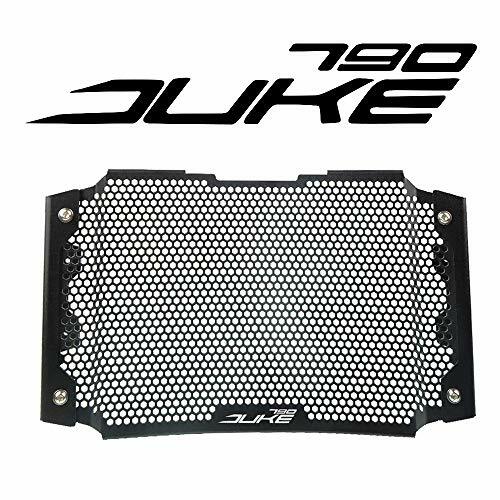 The quality of our radiator guards is superior to anything that we have seen from our competitors and we are sure that you will be proud to have one on your KTM. A hole in your radiator will be inconvenient and very expensive so peace of mind is only one step away. Description: - Made of metal material, water resistance, anti-corrosion, high-temputeratuer resistance for long lasting usage. - Perfectly reduces air resistance, and helps rider to feel the Pleasure of driving. - Prevent the radiator from being damaged, and extend the service life of radiator. - Fine workmanship, effective replacement for motorcycle parts. 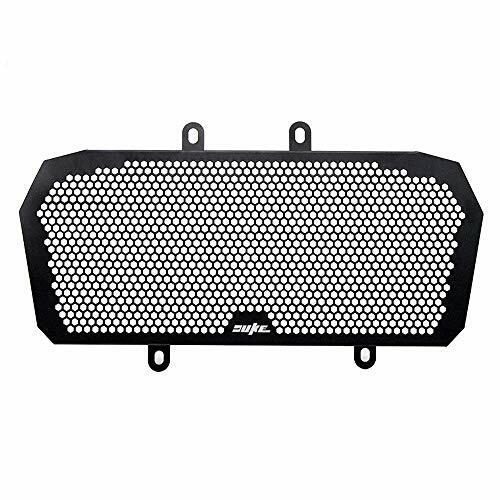 - Prefer for KTM 1050 1190 1290 Adventure 2013-2017.Specification: - Material:Metal - Size:375x280mm/14.76x11.02inchPackage Includes:A Set Radiator Grille Grill Note:Please confirm it is the right type of your motorbike before purchase.Please allow slightly difference due to manual measurement.We strive to offer 5 Star Service in delivery, shipping and after-sales service. If you have any questions, please feel free to contact us. Thank you! 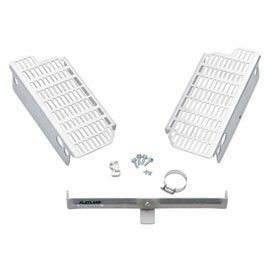 These guards are designed to work specifically with the EE Radiator Braces, attaching directly to them and keeping rocks and debris away without overly obstructing airflow. 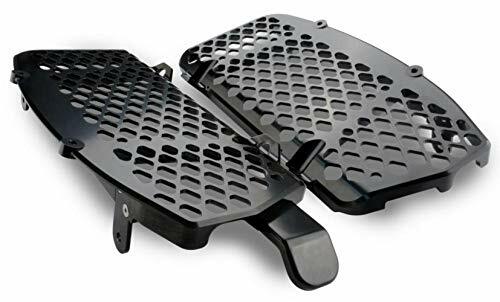 And since theyâ€re made from 3/16 inch (4.8 mm) thick aluminum alloy with a tough, anodized finish, these guards will shrug off impacts without any noticeable damage. ☀☀Fitment: Built exclusively, perfectly suited for KTM DUKE 390 2013 2014 2015 2016 2017☀☀Product Description:1. 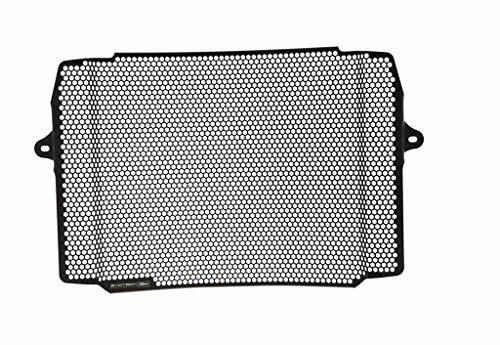 Model Name : Motorcycle Radiator Grill Cover Guard Protector2. Color : Black 3. Material: Stainless steel & High quality & Durable.4. Condition : 100% Brand New, Easy to install 5. Package lnclude:One Piece Radiator Grill Cover Guard Protector.☀☀Feature:1.Function: Effectively Protecting your motorcycle Radiator, it is tough enough to withstand rubbing and dashing, keep your radiator excellent without damage.2.Appearance: With grid design, the air can pass through the radiator guard to cool the radiator and it can perfectly reduce Air Resistance.3.It is easy to install, you don't need installation instruction.☀☀Note:✿✿YUAN QIAN focus on the manufacturing of motorcycle accessories,which bring motorcycle modification lovers high quality products and best service.✿✿If you have any question, please contact me. We will help you deal with the problem as soon as possible.✿✿We will provide customers with satisfactory pre-sale, sale and after-sales service, which is the eternal theme of our company's pursuit of enterprise development. The Devol Extreme Radiator Guards focus on giving full front and side coverage to your radiators, providing excellent impact protection that won't mess with your bike's cooling. Devol makes their guards from lightweight aluminum to absorb large amounts damage without adding excess weight or additional size. Meaning the riding characteristics of your bike wonâ€t change and you won't have to alter your riding positioning. Other guards mount directly to the radiators themselves, but Devol has designed their Extreme Guards to mount to the frame, encapsulating the radiators and directing energy around them instead of through them. This wrap-around design not only better protects your rads, but means you don't have to take them off to install the Extreme guards. 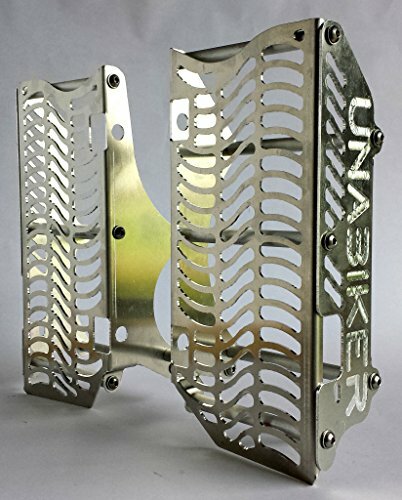 The Flatland Racing Radiator Guards are a set of aluminum alloy cages that keep your radiators straight and true by supporting them during front and side impacts. Flatland designs the Radiator Guards to handle such abuse by building them from 1/8 inch (3.2 mm) thick aluminum alloy, attaching them directly to your bike's frame, and giving them a rear mounting bracket for additional support. 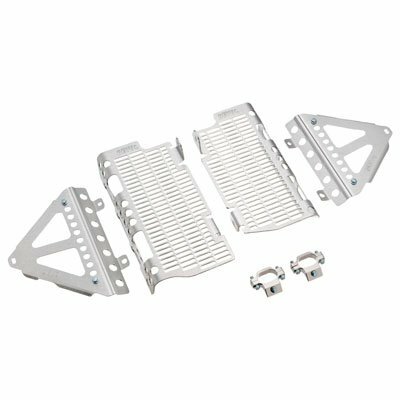 This gives the Flatland Racing Radiator Guards a triangle-like support system that lets the guards soak up abuse without bending, deforming, or passing that damage through to your radiators. Our KTM Rad Guard evolution continues with our all new 08-16 KTM 4 Stroke Rad Guards. New features include a third support rod across the face of the guard to add even more side impact protection while retaining 2 support rods across the back side of the rad. We changed to a 2 piece design, with a removable outer plate which makes installation much easier and allows for a tighter fit against the side of the rad. We kept the same air vent pattern from last year and increased the size of the vents on the side. 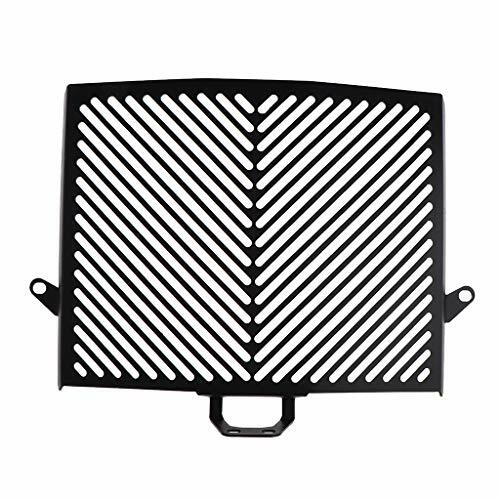 This provides exceptional air flow through the rads while still providing excellent protection for the face of the rads from roost and sticks. 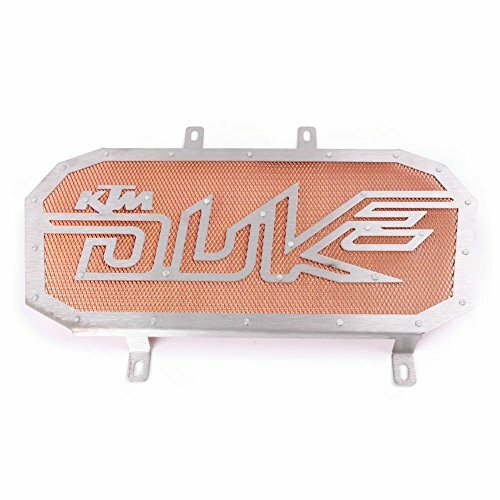 Our KTM guards are available in bare aluminum finish, or anodized orange or black. These guards fit 08-16 KTM 250, 350, 400, 450, 500, 505 and 530cc 4 stroke bikes. Add the front guard for additional protection against rocks, branches and roost or remove it to save weight when not needed. 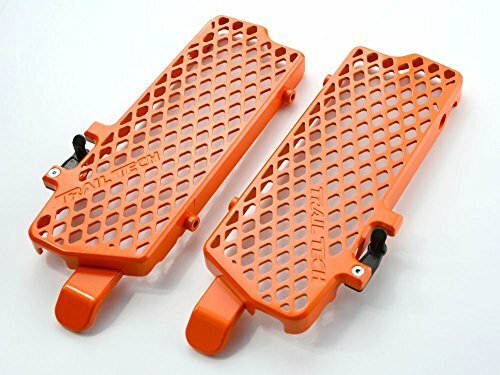 Customers who bought Ktm Radiator Guards also bought Women Square Toe Boots, 4in 1 Emergency Tool, Cotton Cat Sleep Pant - you may also be interested in these popular items.